The Kiva, which opened spring of 2018, serves as the spiritual center of the Peace Garden and a sacred gathering space for ceremonies, rituals, and events. 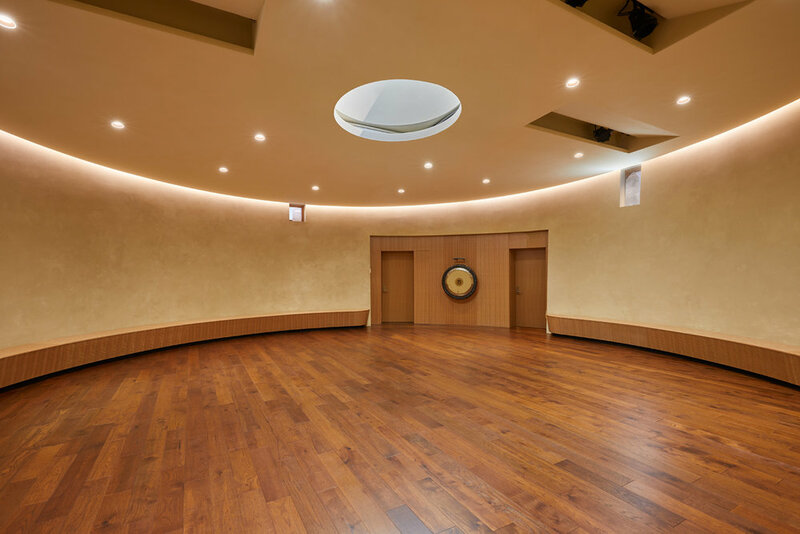 Set within the earth, the subterranean, circular sanctuary honors our connection to natural world. 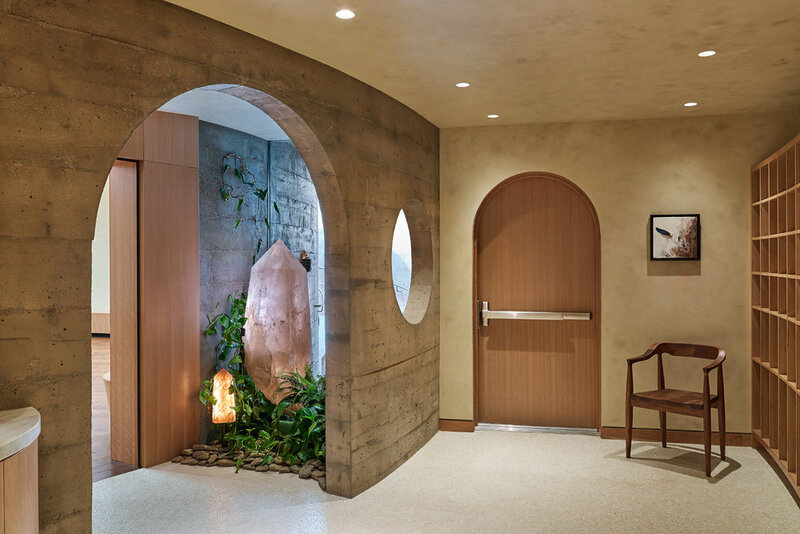 To enter the Kiva, guests circumnavigate the meeting space, descending into the earth, passing the crystal garden at the entry, an altar of quartz and citrine crystals created to hold the intention of the space. The interior of the Kiva serves up to 100 guests for retreats, seminars, workshops, and classes. Event presenters have access to state-of-the-art lighting, sound, acoustics, and aesthetics. Wish to connect with your students around the globe? No problem. True Nature offers full livestreaming services with great audio and video quality. Click the link to see examples of events we’ve streamed in the past. Before building the Kiva and Spa, we engaged the service of a talented Feng Shui consultant with expertise in the energetics of space. We also hired a contractor with great knowledge of green building principles. Every effort was taken to incorporate sustainable building practices, such as low VOC stains, paints and glues; locally sourced products; efficient LED lighting; super insulation; and solar panels. We even mitigated EMFs (electromagnetic frequencies) through the use of shielded wiring and fiberglass rebar throughout the Kiva and Spa. Interested in hosting an event in the Kiva? Fill out the intake form below to share your teachings. Thank you for your interest in bringing an event to True Nature Healing Arts. Please provide your information below and our Event’s Coordinator will respond as soon as possible.